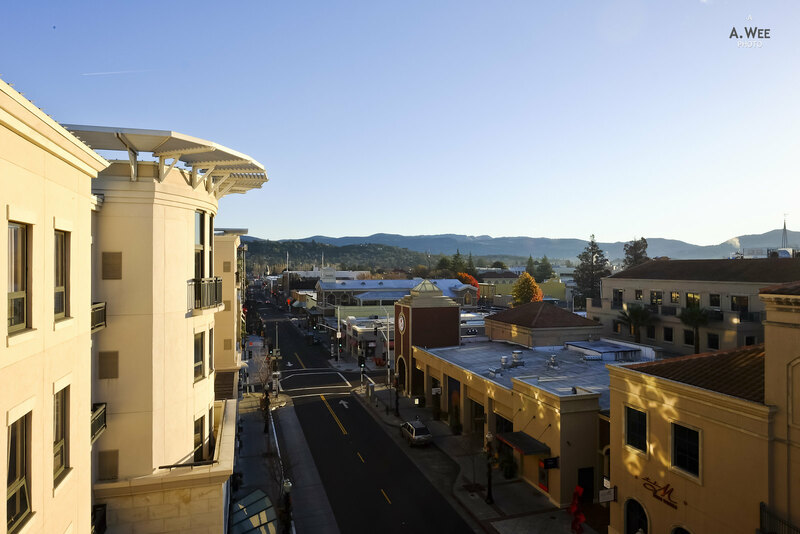 Situated along First Street, the Andaz in Napa is diagonally across from the City Hall in a relatively modern building. Arriving at night into an empty town, we were able to park the rental car by the sidewalk outside the hotel as we conduct the check-in. 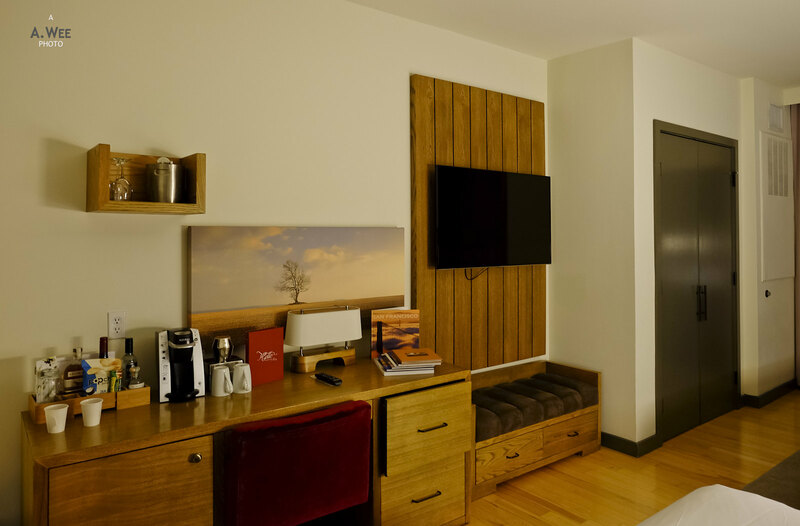 Inside the hotel, guests are greeted by a comfortable lounging area with the hotel bar on the right and the informal check-in area on the left. 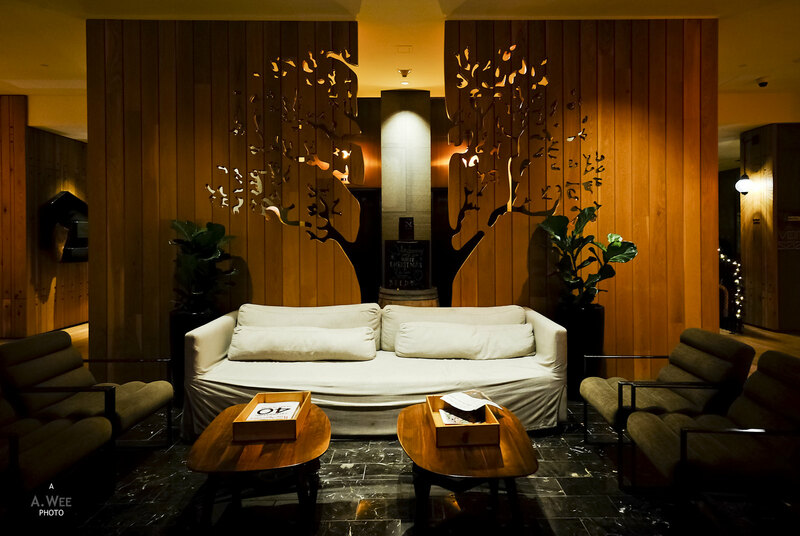 The comfortable lounge area has a wood panel between the entrance and the elevator lobby. 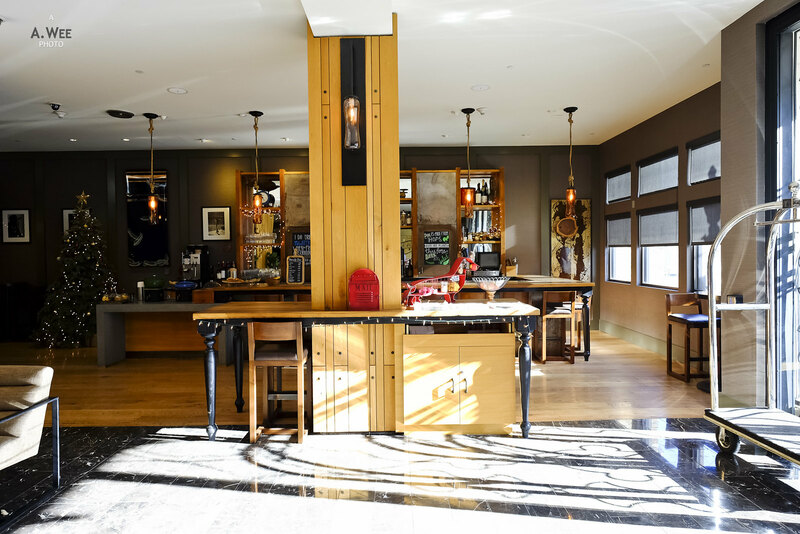 Like other Andaz properties I have been to, I like the informal check-in style as a host will approach with an iPad and you can just do the check-in seated in the sofa, or by one of the tables. And some of the time the host will even offer some beverage, though in this case, we helped ourselves to cider prepared beside the reception area. The back of the informal reception area has a map of Napa with wineries in the vicinity being highlighted. I find this makes it easy for the concierge to recommend guests their favourite wineries or provide directions for guests. For this particular check-in, our host was kind of surly since it occurred on Christmas night itself and probably she was tired. But so was I, and thus it was not a very great or joyous welcome even if it was handled professionally. This might be something to keep in mind so as to avoid future check-ins during the holiday itself. Check-in was quick and we got the keys to our room along with a breakfast voucher that will be served in the Farmer’s Table Restaurant behind the lobby. While I had booked a King room, I enquired if a room with 2 beds were available and it was so I had a small upgrade which was nice to have! With a room assigned on the top floor, we took the elevators and proceed to the large King room. 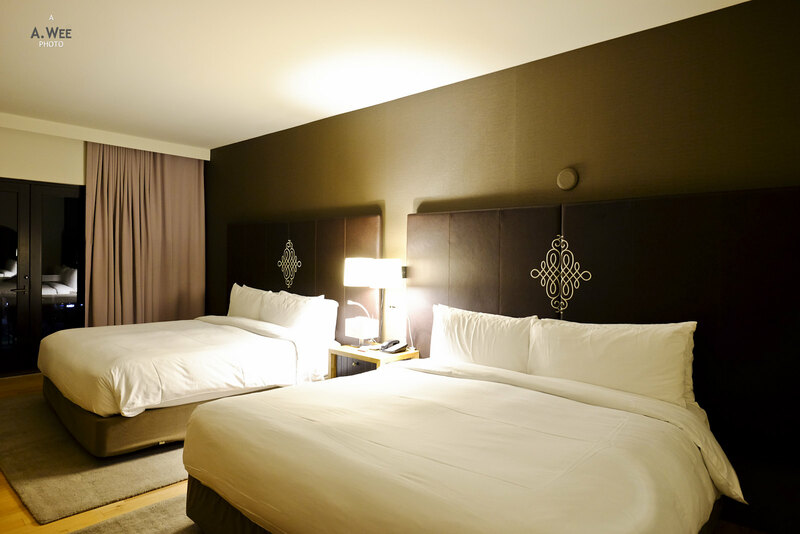 Once guests enter the room, it is a standard hotel layout with the bathroom located beside the door. 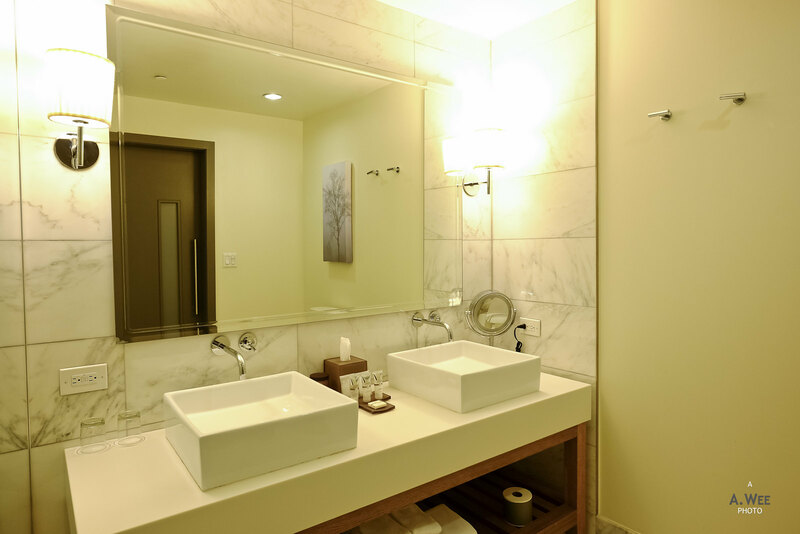 The similarity to a standard hotel stopped here though as I liked the bathroom as it featured double sinks in the spacious area. A modern layout also meant there was no bathtub inside. Instead there was a glass covered shower chamber on one side of the bathroom. 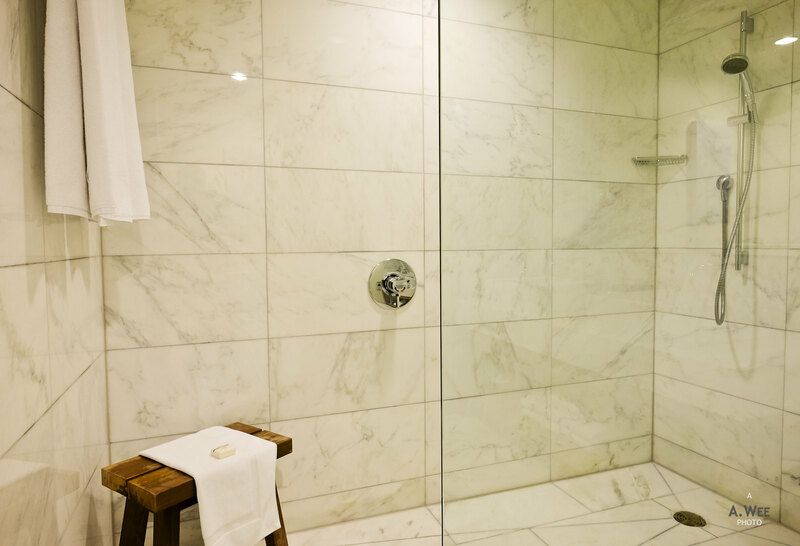 This spacious shower stall also featured a wooden stool which was a nice touch. The glass partition made the whole bathroom bright and clear, which is the way I like the space to be for a shower. 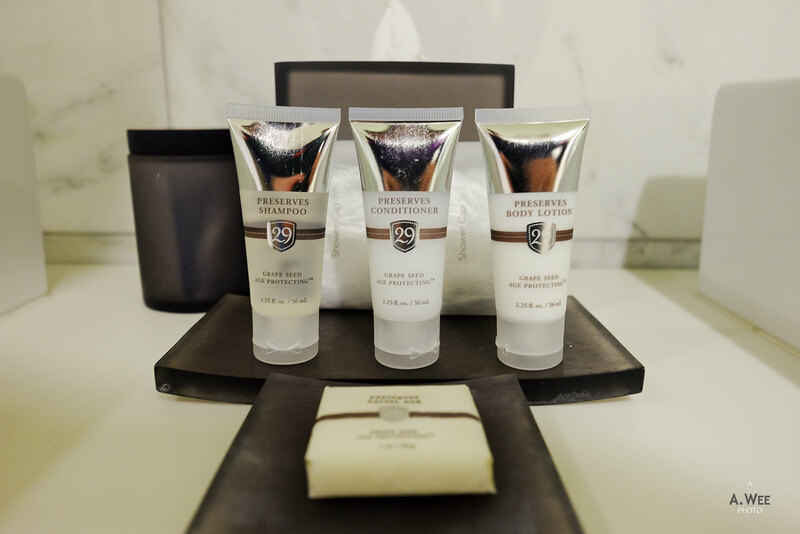 Like many Andaz, guests can find specialty toiletries and this one was no different as it was supplied by a company affiliated to the local Mondavi family. Since I brought my own amenities, I did not use them though I noted they have a pleasant neutral fragrance. Back in the room, there is a wooden console that functions as a desk. 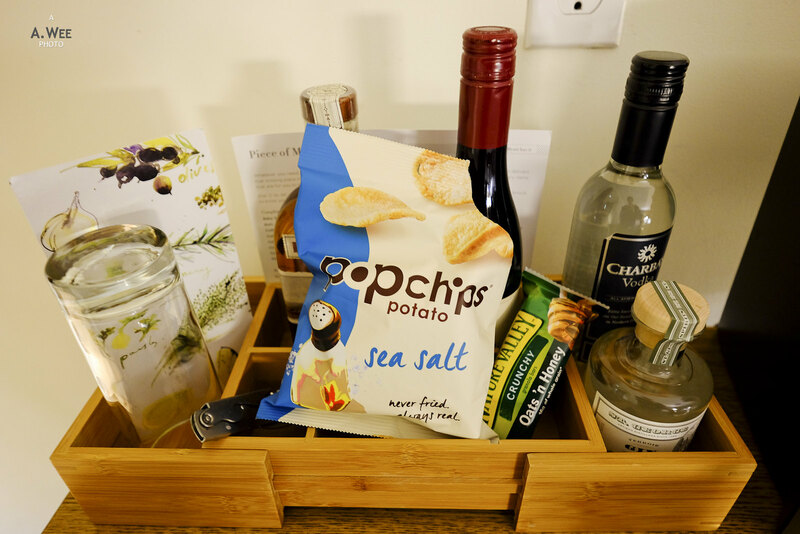 An assortment of snacks and wines are placed on a tray at the desk with a minibar located beneath it. 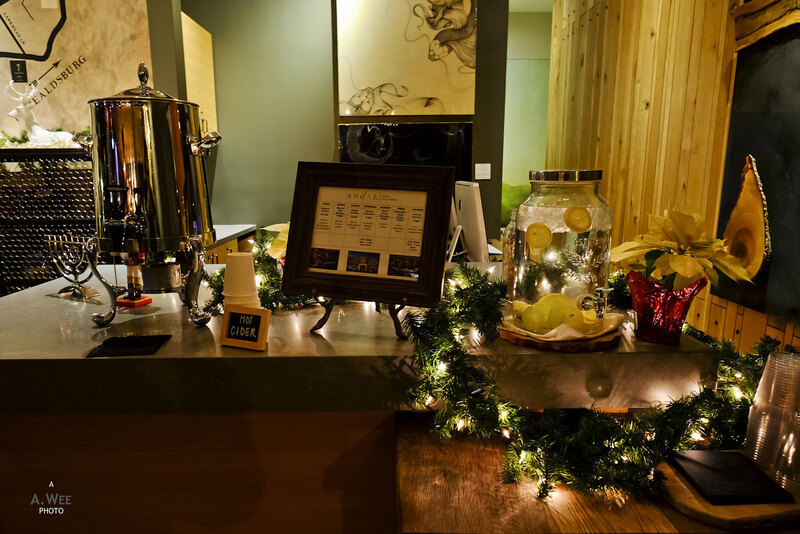 Non-alcoholic drinks and snacks are all complimentary for guests like in all Andaz properties, with this perk being replenished daily during your stay. Variety of snacks was on par with other Andaz I have been to though I did note they were reduced since my first ever stay in an Andaz a few years back. The amount of items on the relatively small desk meant that it was not very conducive for work since there is barely enough space for a full size laptop. 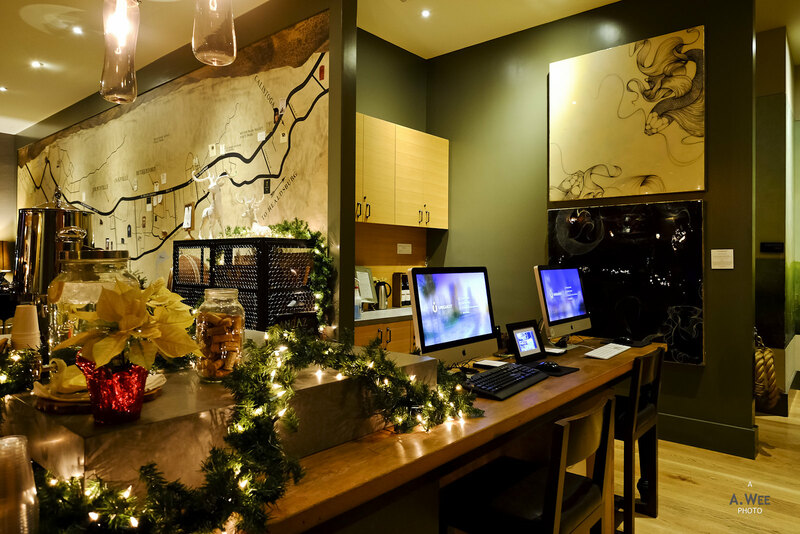 I did like the wooden design of the desk though and thought it fits very well with the laid-back Californian lifestyle. The good part of this room was the 2 legit King-size beds taking up most of the space. 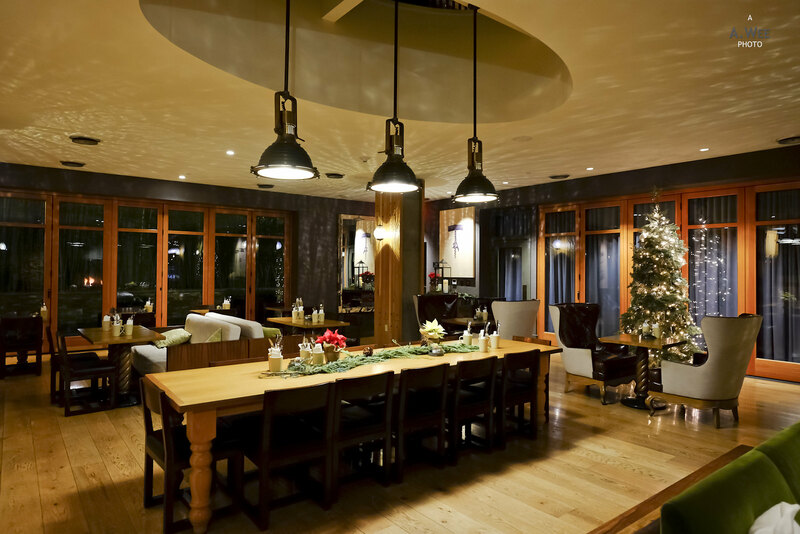 It definitely makes sense for a party of 4 to stay here, making it a great choice for families on holidays. The beds were also soft and comfortable so it made for a great night of sleep. 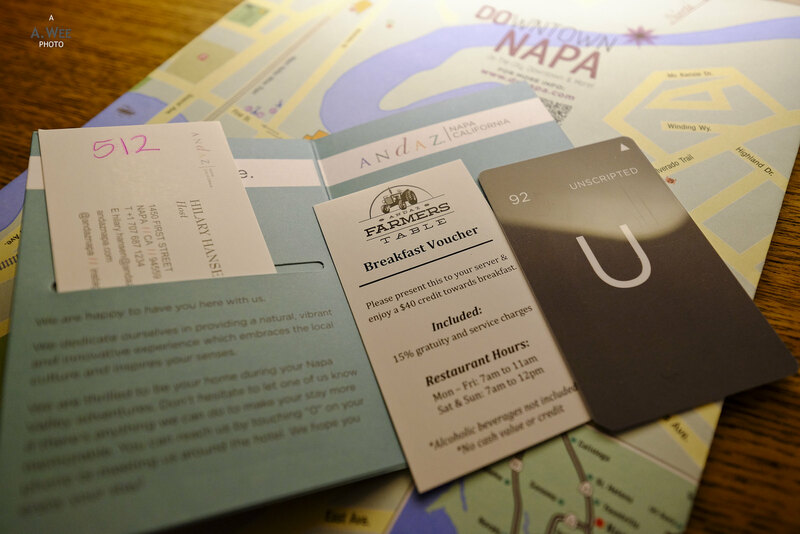 When I checked in, I was also provided with a map of the area and the unique Andaz keycards with a letter(s) from the Periodic Table and an inspiring adjective to come along. Always makes for a great reason to filch one of these for a great memory. Bit difficult to collect the whole lot though with the small Andaz footprint world wide. 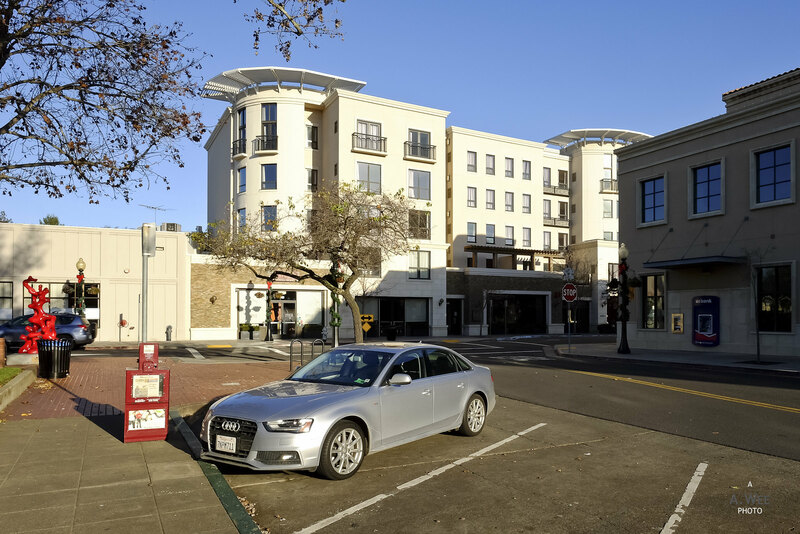 With the room on the top floor, our room also features a small perch of sorts overlooking First Street and we woke up to a nice sunshine day that is characteristic of winter in California! 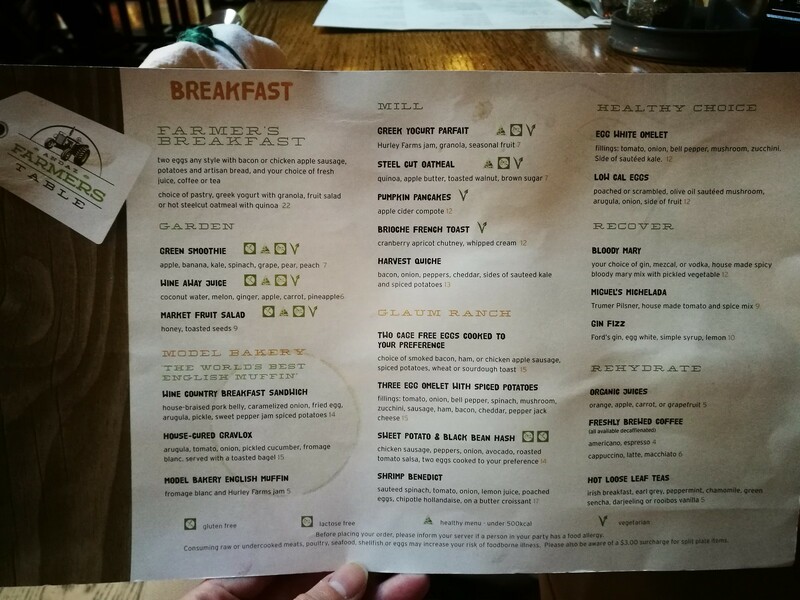 Breakfast was included with the room and as the voucher states, it was served in the Farmers’ Table restaurant on the lobby level. Served from 7am to 11am on weekdays and up till 12 noon on weekends meant guests could easily stay in bed longer, indicating this hotel’s gearing towards leisure travellers and something I appreciate. This meant I could do some fitness in the morning or have a leisurely jog before proceeding for a breakfast that could function as lunch too. Once seated, we were presented with a menu and while the voucher was for a value of up to $40, we were told we could order a main and a beverage of choice and it would still be of no cost. I had the Wine Country Breakfast Sandwich since it looked like a specialty and our server agreed. The most spectacular part of breakfast was the English muffin that came with the mains as it was truly the best bread I have tasted. A chat with the chef that came over to our table made us informed that we could get the same bread from the Model bakery which has branches in Napa and St Helena. 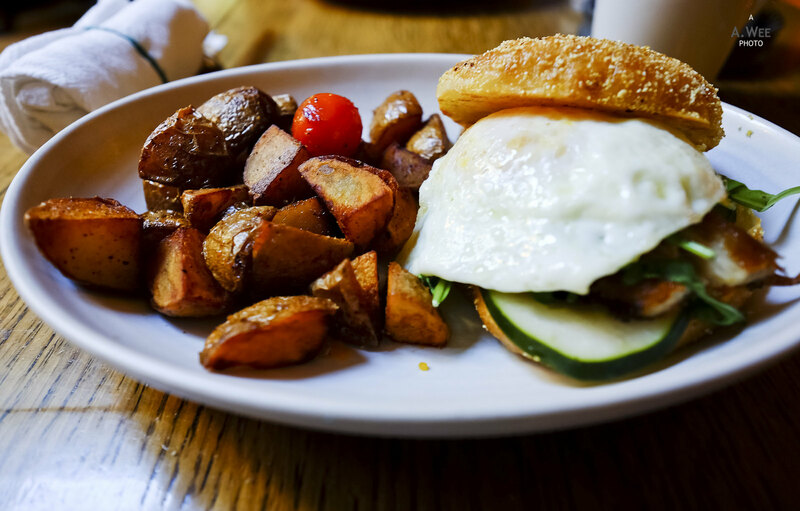 Thus readers keen to try this English muffin could check it out at Model bakery. While the hotel has a fitness centre, it is managed by a third party and the facility is opened to the public. 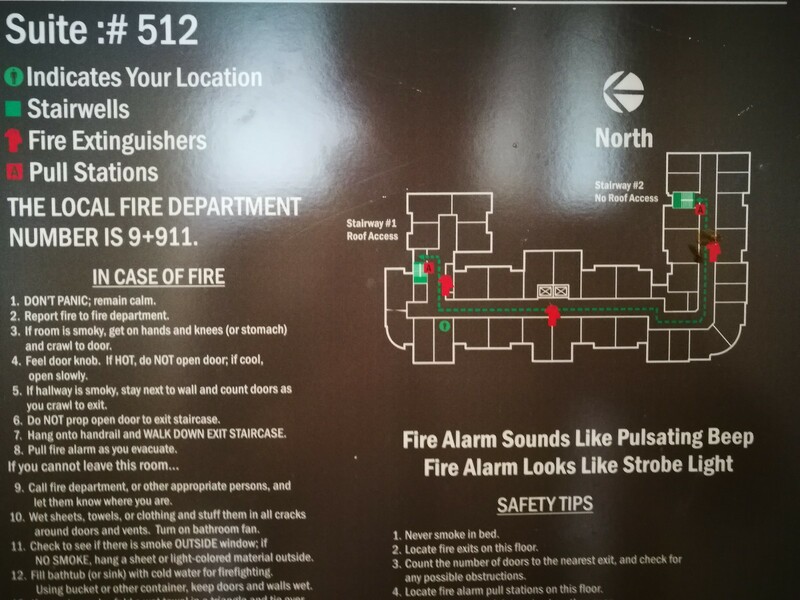 In fact, hotel guests need to walk out by the back door and walk about 200 metres along the alleyway to an adjoining building that houses the fitness centre. Even though the fitness centre was well equipped and large, there was surprisingly a lot of people using it which was why I did not take a photo of it. There is even a lap pool that hotel guests could use inside. 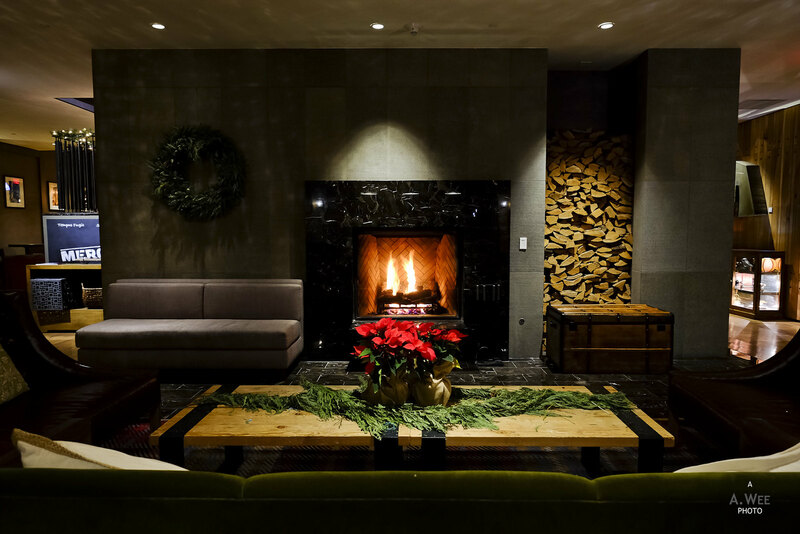 Aside from the fitness centre, the hotel has a lounge beside the restaurant complete with a fireplace for that cosy chat in the winter evenings. There are a couple of Macs on the lobby beside the area for welcome drinks that guests could use with a printer as well. And finally, there is a nice bar across from the reception area like in most Andaz hotels. On check out from the hotel, I actually noticed I was charged for breakfast though I did call them up and manage to get the bill rectified. My past Andaz stays have included some sort of check-out amenity though I understand it has sort of been phased out due to cost cutting and it was just as simple check-out since I had no additional charges. For this stay, the cost was $251 before taxes and I thought it was average and relatively good value since rates could go up to $390 for a night at this property. With the 2 King beds and the delicious breakfast along with quality amenities, I would not hesitate to stay here again at the rate I paid.